At AER’s 2018 Summer Academy in Maramures, Ms. Anna Mellergård from Jönköping County will conduct a seminar on the heritage of Astrid Lindgren, the renowned author of children’s book series featuring beloved characters such as Pippi Longstocking, Karlsson-on-the-Roof, and the six Bullerby children. Originally proposed at AER’s 2018 Spring Plenaries in Arad, Ms. Mellergård will give a presentation on Mariannelund’s Astrid Lindgren Filmbyn (Film Village) and its place in the cultural heritage of the town. Filmbyn is an interactive film centre where visitors can experience scenes from classic children’s movies like Emil in Lönneberga, the Bullerby children, and Pippi Longstocking, all based on Lindgren’s novels. 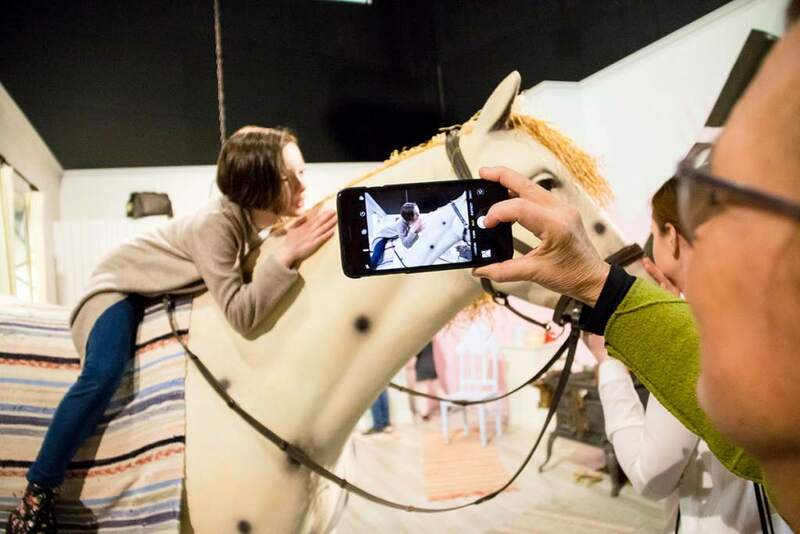 Fully immersing visitors in the world’s created by Lindgren, the centre contains famous film clips, original props, and exhibitions where people can singalong with movie music. For Mariannelund the life and work of Astrid Lindgren occupies an important chapter in the town’s cultural history reflected today in its film centre. Lindgren’s childhood home is located just 20 kilometres from Mariannelund and her father’s a mere 10. Movies about characters such as Emil i Lönneberga and Baren I Bullerby were filmed in Mariannelund with the local population playing a key role in its production. Even today the fact that these celebrated films were shot in their hometown is a source of pride for the local population. Despite holding such deep connections to Lindgren and her work, until recently Mariannelund residents have not known how to explore this rich cultural history. Perhaps frightened away by newspaper articles about protracted legal battles over the online rights to Lindgren’s content or the close proximity of Vimmerby who has created an entire Astrid Lindgren world, for many years Mariannelund did not express Lindgren’s importance to their cultural history in public space. However, according to Ms. Mellergård regardless over who officially owns the rights to Lindgren’s works, it is the locals own the rights to their town’s history. Thus, the impetus for the creation of Filmby was the Mariannelund locals’ reclamation of their own cultural heritage. During her presentation, Ms. Mellergård will also describe the challenges Mariannelund has faced since deciding to create the centre, along with the satisfaction its progression has brought to those involved. She will also explain how the centre’s leadership created a budget for the project, worked with the region and municipality to give the project direction, and involved locals in the documentation of their own heritage. All towns, villages, and cities in Europe have their own unique cultural heritage. Each locality’s heritage contributes to the vitality of their region and creates a shared sense of belonging. Throughout the European Year of Cultural Heritage, these histories will be explored through events and seminars like Jönköping’s presentation at AER’s Summer Academy, connecting the past and the present. Moreover, with Ms. Mellergård’s presentation participants can expect to come to understand the importance of local citizens actively engaging in the promotion and celebration of their cultural heritage to ensure its continuity. This presentation will hopefully inspire delegates to take initiative and start similar projects in their own regions. Attendees can also expect to learn about how to interest other citizens in getting involved with these projects and how Mariannelund worked in concert with regional and local authorities throughout the creation of Filmby. If you want to participate in this workshop and in many others, just check the Summer Academy practical information and then fill in the registration form available at the AER event page for the 2018 Summer Academy in Maramures (RO). Check every detail of the event by clicking on the link below!